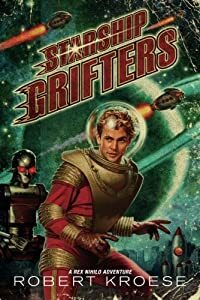 Once again, I’ve sampled all the available Amazon previews linked via SFSignal’s monthly listing of new SF/F, and I’ve chosen a few to highlight. Jeff VanderMeer, Authority. 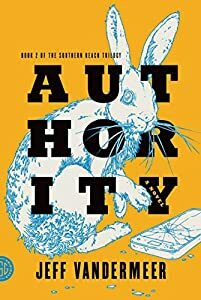 I greatly enjoyed Annihilation, the first book in the Southern Reach trilogy, just a couple of months ago, and the sequel looks good too. 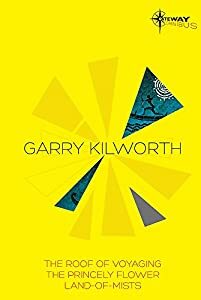 Apparently, it will give some insight into the mysterious organization that keeps sending explorers into Area X.
Garry Kilworth, SF Gateway Omnibus of the Navigator Kings trilogy. I had never heard of this Polynesian fantasy series, which consists of The Roof of Voyaging, The Princely Flower, and Land-of-Mists, but the opening pages got my attention instantly. The giant head of a god swims around by itself near the shoreline, searching for victims? Sign me up for more of that kind of weirdness. 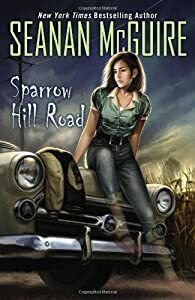 Seanan McGuire, Sparrow Hill Road. I’ve had mixed reactions to this author’s stuff. Her work under the name Mira Grant isn’t for me, and I only sort of liked the first book in her InCryptid series. But a few weeks ago, I finished reading her Velveteen books, and I loved them so much that I am willing to try anything she writes for a long time to come. This seems to be an InCryptid spinoff told from an interesting point of view—a ghost’s story. 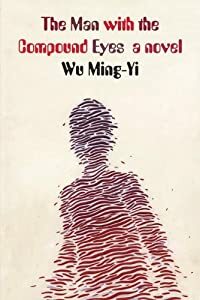 Wu Ming-Yi, The Man with the Compound Eyes. I’m probably influenced by all the hype I’ve seen for this book, but the premise is interestingly complex, and it’s well-written. 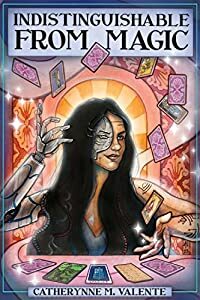 By coincidence, there’s Polynesian-inspired fantasy in this book too, and it initially strikes me as more problematic than Garry Kilworth’s, because it’s both less true to the actual details of any source material and yet also posited as being more attached to the real world, so it seems like a pure stereotype. But there seems to be enough going on in this book that I’m willing to play along. Catherynne Valente, Indistinguishable from Magic. This is a collection of Valente’s blog posts and whatnot on miscellaneous topics: pop culture, her own books, etc. I hadn’t read her non-fiction before, but I liked the preview of it and would be glad to read more, because it seems pleasantly light and insightful and because she happens to like things I like. Benny Lindelauf, Nine Open Arms. 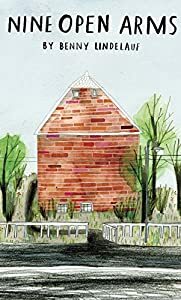 Based on the preview, this appears to be a warm and simple YA haunted house story, translated from Dutch. Given that translations basically have to succeed in getting published twice, I’m inclined positively toward them from the start, and I liked a number of images and foreshadowy hints of things to come in it. Chris Willrich, The Silk Map. 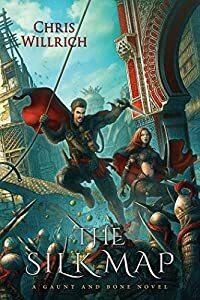 A few months ago, I decided against reading the first book in this series, The Scroll of Years, because I thought it was a standard fantasy novel with a mishmash of Asian decorations and absurd plot points. On reading the preview of the sequel, I realized it might be something different: an absurd mishmash, maybe, but instead of a standard fantasy novel, more like something by Ernest Bramah or James Branch Cabell—gently humorous fantasy that intentionally pairs ornate imagery with silly events to make fun, mostly of itself. Honestly, I’m still not sure what this is, but now I have some hope for it. Robert Kroese, Starship Grifters. This seems to be humorous SF, more in the vein of Harry Harrison than Douglas Adams, but I’m willing to go along, because I like humorous SF. 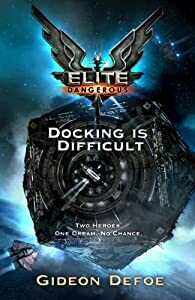 Gideon Defoe, Elite: Docking is Difficult. More humorous SF, this time associated with a video game I haven’t heard of. But the same author has written a series of humorous novels about The Pirates!, and I’m especially willing to give an established comedy writer a shot.